It’s a mesmerising sight – a flock of birds or school of fish swirling and banking in fluid motion. But just how do individual birds, fish and some herding mammals move in unison? And where does mathematics come in to it? We already know that there are clear benefits to animals moving in a group – it affords them protection and enables them to share information – but UNE applied mathematician Dr Timothy Schaerf and his fellow researchers Dr Peter Dillingham (formerly with UNE, now at the University of Otago) and Professor Ashley Ward (University of Sydney) set out to understand how individuals collectively achieve coordinated movement in different situations. 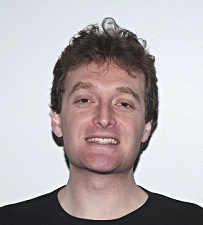 Dr Timothy Schaerf, Lecturer in Applied Mathematics, UNE. Their paper, “The effects of external cues on individual and collective behaviour of shoaling fish” was recently published in the journal Science Advances. Think of the Eporo robots developed by Nissan, which use algorithms inspired by how fish navigate and successfully avoid obstacles. Similar technology has been employed in the development of the driverless car, with its intelligent brake-assist and forward collision warning features. Working with small schools of agile X-ray tetra fish, Dr Schaerf and his colleagues took video footage and used a visual tracking program to analyse how the fish changed their movements and behaviour in response to alarm or food cues and then considered how this influenced the movement of the group. “We were interested in how animals like this are able to coordinate patterns of group movement without being able to talk to each other,” Dr Schaerf said. Under control conditions, group animals follow certain “rules of interaction”. They typically adjust their speed and direction to avoid collisions, and tend to move towards individuals that are further away. But what about when food is offered or a threat appears? The team found that when alarm cues were added to the water, the fish were not so concerned with avoiding collisions – they slowed down less when other fish were close ahead and sped up less when they were close behind, possibly to seek safety in numbers. They also tended to turn much more rapidly towards partners that were further away. 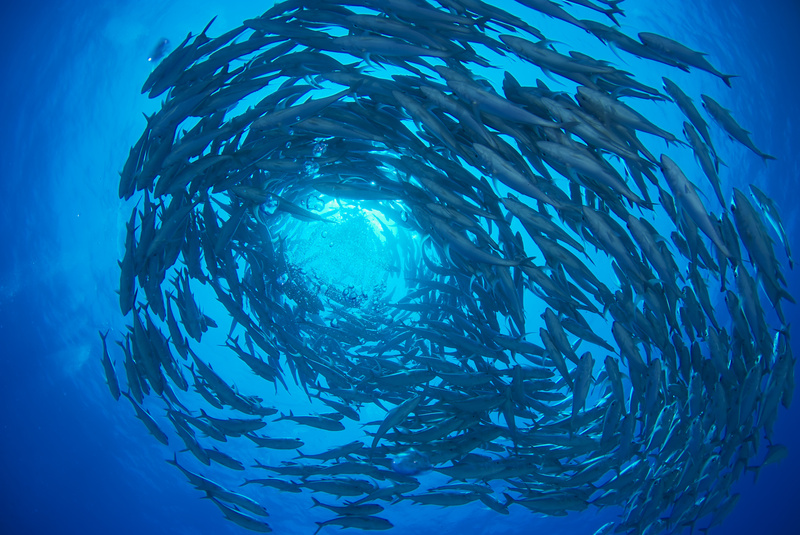 When it came to food cues, the fish sped up and spread out to avoid competition. Overall, the study showed that changes in individual interactions correlate with changes in group behaviour. As part of their detailed investigation, the researchers also considered how fish positioned themselves in relation to boundaries, how frequently they changed direction, moved between the edge and the interior of the group, and even favoured one eye over another. Dr Schaerf said their findings may prove useful for people dealing with herding animals.”It could, for instance, help us to understand the behaviour of sheep in a paddock under stress,” he said. “It may also help us to predict how environmental stresses, such as those induced by rapid climate change, affect the moment to moment interactions and thus the collective behaviour of grouping animals.